Having now twice-listened to Dr. Steve Lawson’s It Will Cost You Everything in full, I must say this is undoubtedly the most important message one might ever hear. Some of you have seen the epic-like video excerpt of Dr. Lawson’s message put together by I’ll Be Honest (HERE), and if you have yet to listen to the complete message from the 2007 Resolved Conference, then you must do so when you get the chance. No doubt this is one you will want to share with as many people as possible. Why is this message so important? Dr. Lawson presents the Lordship of Jesus Christ and the call to supreme devotion to Him like I have never heard before. He powerfully declares the cost in following Christ by resounding the words of the King Himself – and contrary to what the modern message teaches, discipleship will cost us everything. This article will serve as an introduction of sorts as I cannot possibly address every issue revolving around this doctrine. Lord willing, future posts will cover this topic in more detail and I hope this write-up will be a point from which we can discuss this issue with the common goal to glorify the Lord Jesus Christ. I share this message and write this blog with a humble heart and knowing what it might cost me. What has now become known as “lordship” salvation (thus coined by opponents) has become an extremely controversial and divisive doctrine over the last few decades. Many of you reading this will have never heard of the Lordship of Christ, much less the phrase “lordship salvation”. I myself was not familiar with it just over a year ago, although my studies and understanding of salvation at the time indeed showed acknowledging and subjecting one’s self to the Lordship of Christ was an essential element of saving faith. So why is this so controversial? Why is it that brothers and sisters in the Body of Christ are at such odds with this doctrine? I wholeheartedly believe my brothers and sisters who disagree with me and this doctrine do so because there is a misunderstanding of what “lordship” salvation means. I have seen “lordship” salvation and those who teach it be accused of teaching works-based salvation or they might suggest it borders works-righteousness. I have seen some accuse the adherents to this doctrine to teach one must be completely repentant or change their lifestyle or behavior before they can come to the cross and be saved. And most unfortunate, I have seen “lordship” salvation be declared heresy and those who teach it declared to be heretics. To suggest the latter is to condemn these teachers and place an anathema (a curse of damnation) on them (Galatians 1:8-9). Some of these accusers of heresy are within the Body of Christ, so what can we conclude from these accusations? To be frank, there is a grave ignorance of what this doctrine teaches, and most importantly, what Scripture clearly teaches to be the call to salvation. Yet others who cry heresy are not part of the Body of Christ, and by placing an anathema on this Gospel, they place an anathema on themselves by rejecting the Gospel according to the Lord Jesus Christ and by preaching a gospel that is powerless to save. Obviously, I am not able to discuss this topic at great length in a single blog piece, but I hope to explain a few things and encourage you to search your hearts and the additional resources I will provide so that you can judge these things for yourselves. It is important to go directly to the source to see if what is being taught is Scriptural instead of relying on others who may still be confused and perhaps ignorant of the issue. One thing is certain: “lordship” salvation is not a new doctrine. It has been around since the Lord Jesus Christ set His terms of salvation and has been carried through as church orthodoxy since then (excluding the centuries leading up to and including the Dark Ages). The only reason why it is controversial now is because the modern message has polluted and diluted the Gospel of Jesus Christ. Fundamentally (to the fault of misunderstanding or ignorance), to reject “lordship” salvation is to reject the teachings of the greatest theologians and preachers of church history, notably since the Reformation. If you believe in the Gospel as taught by Martin Luther, John Calvin, the Puritans, Jonathan Edwards, Matthew Henry, George Whitefield, John Bunyan, Charles Spurgeon, J.C. Ryle, B.B. Warfield, R.A. Torrey, W.H. Griffith Thomas, Leonard Ravenhill, A.W. Pink, and A.W. Tozer, then you believe in the Gospel according to the doctrine of lordship salvation. If you are a born again believer in the Lord Jesus Christ, even if you did not understand the full implications of His lordship or have never heard the term before, you submitted to His Lordship on the day of your salvation. It is impossible to be justified by God without submitting to His authority over your life. You cannot accept Him as Savior but reject Him as Lord. This idea is absurd really, and is the result of the modern message plaguing the church in the last century. What is known as “lordship” salvation is either the Gospel or it is not. It is either a work of God or a work of man. If it is a work of man, then salvation requires works. If lordship salvation teaches works-based salvation or if it is works-centered, and indeed it does not and is not, then it is heresy. If it is heresy, then those who teach it are heretics. If they be heretics, then the godly men above are heretics, so too are John MacArthur, Paul Washer, Al Mohler, John Piper, Phil Johnson, Alistair Begg, James MacDonald, Ray Comfort, Steve Lawson, Kirk Cameron, David Platt, Justin Peters, Todd Friel, Jack Chick, Mike Ratliff, Ken Silva, and James White. Now, I ask you: what do you truly believe? If you are to be consistent in your accusations against what is known as “lordship” salvation, then you must also be willing to declare all of these men heretics. Are you willing to do that? If you are not, then I urge you to study this doctrine closely, lest you continue to declare biblical truth heresy, even if out of ignorance. What else can explain the potential millions of church goers who have not been born again? These Christians-in-name-only continue to live a lifestyle of habitual sin or depend on their own righteousness to be justified. These false converts have a false assurance of salvation simply because they rely on a one-time response to an altar call, said a prayer once to “ask Jesus into their hearts”, they might go to Bible study, they may have filled out a “decision for Christ” card, or they think by doing stuff they are making God happy. But they have never come into right relationship with Christ by submitting to His authority to rule and reign in their lives. No doubt God can and will save people despite the message they responded to, but the danger of the repentant-less message of “cheap grace” or “easy-believism” is that it gives people a false security in salvation. It leads people to believe they are saved when they are desperately lost. And oftentimes, as illustrated in Jesus’ Parable of the Sower, many fall away from faith because their “decision” to be saved was based on an emotional high or a desire to be saved from their troubles or for their felt-needs to be met. This rash decision led to a shallow root, and the only explanation for why these fall away or that they never go on to bear fruit or be sanctified is that they never counted the cost and they never submitted their lives to the Lordship of Jesus Christ. Let it be clear – salvation comes by the grace of God alone, through faith alone, in Jesus Christ alone. No amount of gold, no amount of good works, no amount of anything can earn your way to heaven. We are justified by faith alone, and it is only by the righteousness of Jesus Christ that we gain access to the Father in heaven. Moreover, salvation is a sovereign work of God, and because it is His work in Christ through the regenerated, surrendering to the Lordship of Christ is no more a work of the believer than is faith and repentance. The Holy Spirit will bring about repentance, sanctification, and submission to the Lordship of Christ in all who truly have faith in Jesus. Coming under the Lordship of Christ is merely responding to the call of Jesus to be His disciple. Subjecting yourself to the Lordship of Christ is coming to saving faith. It is committing your life to Him. It is surrendering your life to God. It is being born again. The Bible makes no distinction between being a believer and a disciple – they are one in the same. Contrary to popular and modern teaching, one does not become a believer then at some point down the road become a disciple of Christ. Discipleship is not a call to some higher level of Christianity. It is Christianity and it is based on the work of Christ and our following Him. When one is born again, they become a follower, or a disciple, of the Lord Jesus Christ. What is He saying? You might ask, “I thought salvation was a free gift from God”? It is, most certainly! Jesus Christ humbly submitted Himself to the will of the Father and went to the cross. There, God transferred our sins to the innocent Lamb of God and God crushed His own Son under His wrath. 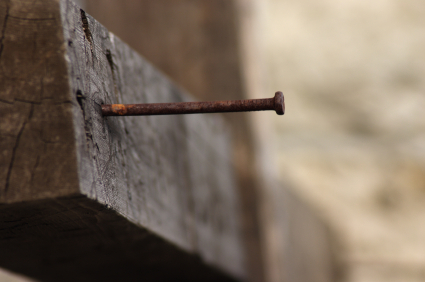 Jesus Christ atoned for our sin through His shed blood on the cross, and God showed the world He accepted this as payment in full by raising Him from the dead three days later. There is nothing more we can contribute. It is finished. He has already paid the price for you. It is free. A person might be truly born again without explicitly considering the cost of following Christ, but no one can be saved who counts the cost and is unwilling to pay it. Again, I am certain that no one understands the full implications of Christ’s lordship at the moment of conversion; in fact, none of us ever reaches full knowledge of such spiritual realities in this life. But the work of the Holy Spirit in the heart of a true believer prompts some degree of surrender to Christ’s authority even at the inception of the new birth (Source). We must die before we can live. Unless we are crucified with Christ, we cannot walk in newness of life. There can be no resurrection unless there has been crucifixion of the old life. Jesus will not begin in you until you end. You must be broken in your sins (2 Corinthians 7:10), and you must submit to Him as Lord of your life (Romans 10:9-10), for He is the King of kings and the Lord of lords, and He demands your allegiance. By acknowledging that He is Lord, you are fundamentally professing and trusting that He is God and He alone has the power to forgive your sins and save you from eternal destruction. Nothing short of the Sovereign Lord can do this. You must go through the Narrow Gate (Matthew 7:13-14). Only few enter through this gate because only few are willing to lay their lives down for the Lord Jesus Christ. Only few are willing to forsake everything for Christ. Only few are willing to submit to the rightful rule of the Lord over their lives. Only few desire to pursue God, to be conformed to His image, to be transformed, to obey Him, and to become holy as He is holy. And Jesus knew how easy it was to just be a part of the crowd, so much so that He raised the bar by demanding total commitment. He did not manipulate decisions or induce the crowd. He did not sugar coat His message or soften the requirement. He asked for nothing less than complete surrender. As Dr. Lawson says, these terms of salvation are nonnegotiable, absolute, fixed and set, and unalterable, and they are the same for all of us. He calls for radical submission and surrender or we cannot be His disciple. Christ must be worth more to us than anything else. We must consider Him more valuable than everything else as we see in Matthew 13:44-45. We must surrender our will, and we will continue to surrender our will for the rest of our lives. He is asking for supreme devotion. We cannot serve Christ and ourselves. He calls for absolute allegiance to Himself, even though we will never hit that mark perfectly nor might we understand the full implications of this surrender on the day of salvation. The One who died on the cross and offers you life has made the conditions of surrender. We do not get to choose how we come to God for salvation. We must not let the myth of the modern message cloud what Christ has demanded. We must come to the understanding that God will not justify those He will not sanctify. He always finishes the work He started (Philippians 1:6), and it starts when, by the grace of God, we submit to the Lordship of Jesus Christ. As we too often see, those who make easy decisions for Christ, without having counted the cost of being a disciple, are not able to finish and go all the way. God does not finish the work because He never began in that person’s life. And it is because they refused to humble themselves, confess their sinfulness, and trust in Jesus Christ as Lord and Savior. You must transfer ownership of all that you are and all that you have to all that He is…your life is no longer your life, it is His life. Your time is no longer your time, it is now His time. Your possessions are no longer your possessions, they are His possessions. Your future is no longer your future, it is His future. Your treasure is no longer your treasure, it is His treasure. And you have transferred all that you are and all that you have to all that He is. That’s what it means to meet His terms of peace. You may not have understood all of this when you were born again. But do you see a progression in your life since you made a profession of faith? Have you seen the sanctifying work of the Holy Spirit in your life? Do you now have the desire to obey Him and follow in His steps? Have you examined yourself as instructed by the Apostle Paul (2 Corinthians 13:5)? Many of us can affirm these truths in ourselves and are thus submitted to the Lordship of Jesus Christ. But others, who fail to see a change in themselves after they made a profession of faith, at the least cannot claim assurance, and at worst, cannot truly claim salvation. If that is you, do ever wonder why you profess to be a Christian but have no genuine and intimate relationship with the Lord Jesus Christ? Do you wonder why you don’t like to fellowship with other believers? Do you wonder why you don’t have a burning desire to know and love God more by studying His Word? Do you wonder why your prayer life is basically non-existent? Do you wonder why you have nothing to show for your faith? Do you wonder why you have no desire or make any effort to share your faith? Do you wonder why you are just like your unbelieving friends? Do you wonder why you love the things of the world, but have no evident love for Jesus Christ other than you saying so? Do you wonder why your life is continuously marked by a habitual lifestyle of sin? You must examine yourself, and I ask you to please do so by listening to the most important message you will ever hear: It Will Cost You Everything. Because this blog piece attempted to address two issues, opponents of lordship salvation and a call to examination, I was unable to speak at length on either issue. No matter where you are, including those who wish to further subject themselves to the Lordship of Jesus Christ, please take the time to listen. To my brothers and sisters who are in disagreement with this doctrine, I hope and pray this has opened up the door for discussion and we can work this out together. I pray that God will be glorified in our search for the truth and coming to a biblical understanding of salvation. It is imperative that we have the Gospel right. Should I be in error in anything I have shared or presented, I pray the Lord reveals this to me. The Lordship Controversy (stream or download mp3). Salvation is by grace, by grace alone. Nevertheless, divine grace is not exercised at the expense of holiness. It never compromises with sin. It is also true that salvation is a free gift, but an empty hand must receive it and not a hand which still tightly grasps the world. Something more than believing is necessary to salvation. A heart that is steeled in rebellion against God cannot savingly believe. It must first be broken. Only those who are spiritually blind would declare that Christ will save any who despises authority and refuse his yoke. Those preachers who tell sinners that they may be saved without forsaking their idols, without repenting, without surrendering to the lordship of Christ are as erroneous and dangerous as others who insist that salvation is by works and that heaven must be earned by our own efforts (Source).